Have you ever found yourself wandering through the beverage department of your local grocery store and decided to check out the green tea selection, only to find that there were so many options that making a choice you might enjoy depended more on luck than anything else? I have. Too many times I wound up bringing home and dumping out half a bottle of something bitter or weird, and I like green tea. 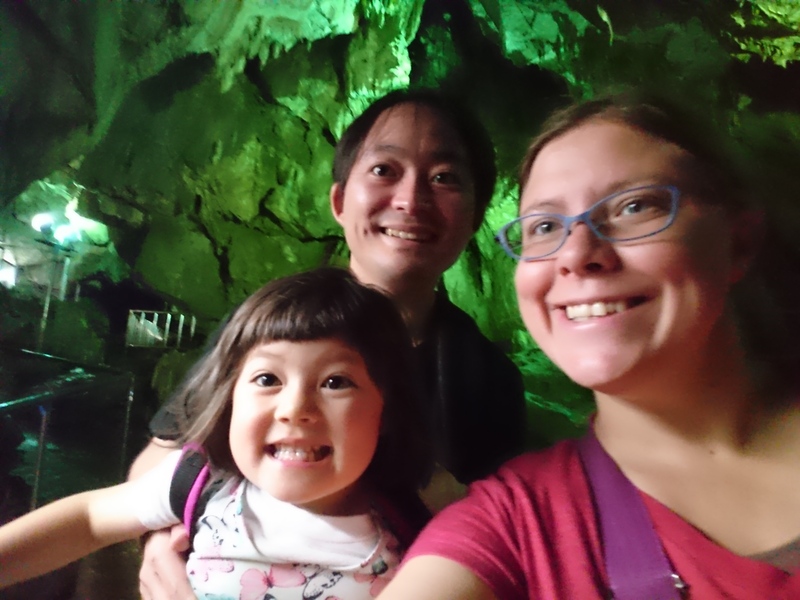 The classic beverage of Japan isn't just a passing health trend but can genuinely be a great and refreshing beverage of choice and one that I enjoy regularly. 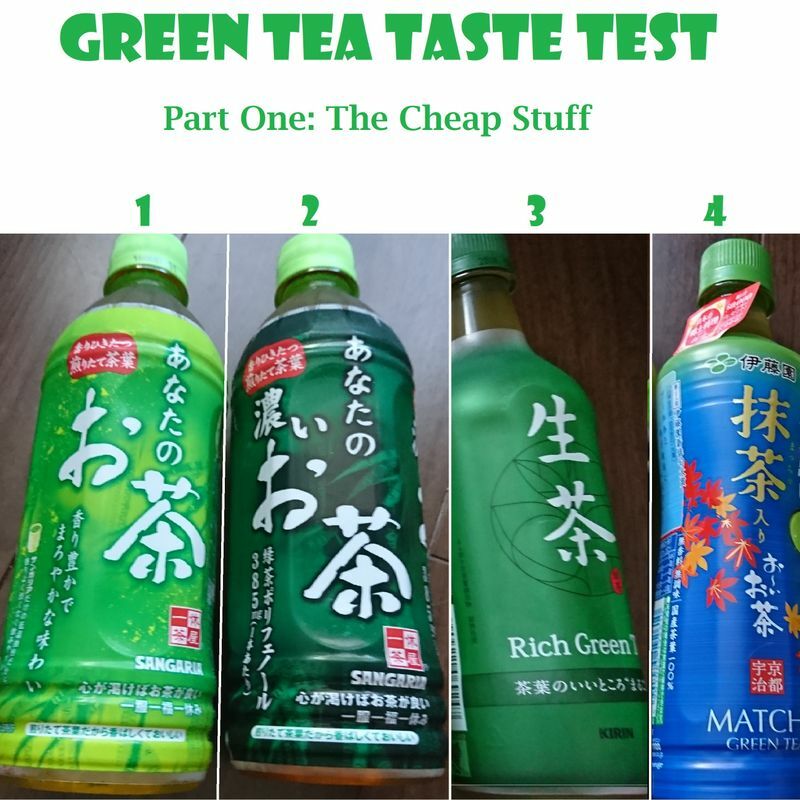 As my palate for subtler Japanese flavors tends to be lacking, I conscripted my husband into joining me in taste-testing eight of the most popular green tea variations available at our local grocery stores, the results of which will be provided in two parts. Today, we're starting it off with the cheap stuff. Numbers one and two on our list come in at 61 yen for a 500mL bottle. "Anata no Ocha" offers 40 mg of the natural antioxidant catechin per 100mL, but not a lot as for flavor. The self-proclaimed "thick" variation instead boasts 77mg of polyphenol, an important micro-nutrient, per 100mL. Comparing to my usual choice in bottled green tea, I found the first to be watery yet bitter, as if they were attempting to make very thin Koolaid capturing the ghost of umami in the bitterness that usually accompanies it in green tea. The thick option was only a little less watery, with more of the umami flavor but not enough to make up for the bitterness. There was less of an unpleasant aftertaste, though I still found it significantly less pleasant than what I would usually drink. My husband's words describe the two pretty perfectly: "Bitter, sour, colored water." He found the beverages to both lack the normal characteristics of tea, which was unsurprising as this brand tends to be a better choice for cheap soft drinks and fruit juice. They would go well with snacks, he added. Third on our list comes from Kirin in a 525mL bottle for 77 yen. Kirin's "Rich" was the most opaque of our first four beverages and easily my favorite. The aftertaste was less obvious and umami, the flavor of savoriness in the absence of meat, was clear and enjoyable. My husband's take on this beverage was that it had medium cost performance, tasting neither cheap nor expensive. The bitter beginning with slightly sour tones lended itself well to the mild taste and thickness overall. He suggests enjoying this one by itself as a snack is not necessary to enjoy it. Fourth and last on our first installment is "Matcha" from Itoen, which costs 81 yen for a 525mL bottle. The label explains that the product is brewed from ice water, a process that my husband suggests might lead to less caffeine overall. While it was more opaque than the two Sangaria selections, it was not quite as rich as Kirin's Rich. I found this one to be a refreshing selection, with the bitterness nicely hidden within the umami. My husband enjoyed the thickness and found it bitter and sweet. He added that it would be worth buying and could go well with a snack or on its own. That's it for part one of my green tea taste test. Watch for the conclusion in which we try the more expensive stuff later early next week. i would have such a hard time explaining the tastes of teas! thanks for this! I'd skip anything by Sangria brand, but have had Ito-en's 'koi-ocha' (bitter), and liked the Kirin 'nama-cha.' We have the powdered version of #4 and like it. The nice part about powdered is we can make it really strong, hot or cold. @edthethe Thanks! and you're welcome! @helloalissa Oooh! That is an excellent thing! I need to check for the powdered stuff. Thanks for the tip!